You’ve tried every strain your heart desires and rolled blunts until your fingers became stiff with THC…so whats next? 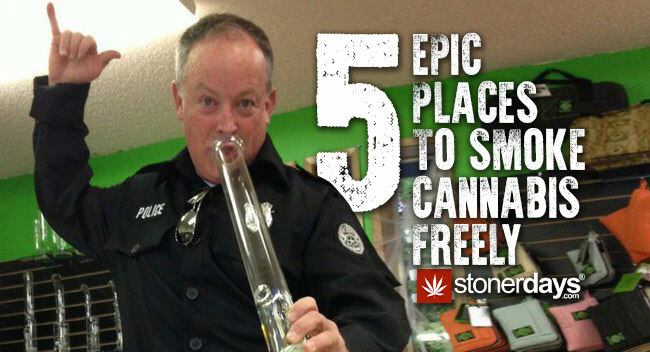 A great way to expand your [(higher state of mind) stoned out life] is traveling to these Five Stoned Out Places To Go For Marijuana Lovers ! Alaskan Thunderfuck might hit way harder if you were actually in Alaska; you’ll never know until you pack your bags. Take a closer look at these weed places around the world to get inspired, but remember, leave the bong out of the carry on luggage. 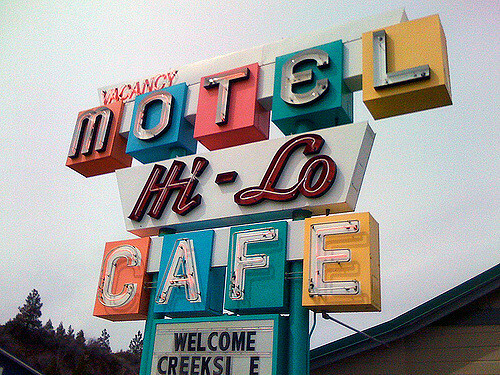 Located in the lovely and intoxicating city of Weed, California perched elegantly on Weed Blvd. Is The Hi Lo Cafe. Clearly it’s name and pin point on the map makes the stoney senses tingle, and following through with that feeling is the mission. Chronic lovers love to eat and often times are full on foodies. Hi Lo Cafe offers a variety of tasty treats and meals ready to be devoured by the munchie monster. Accompanied with a hotel feel, so get nice and comfy and thank us later. 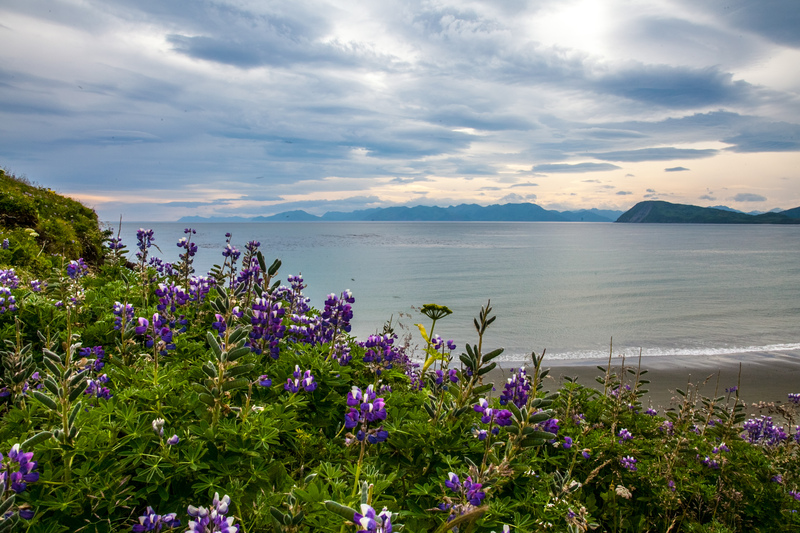 Yes there are most definitely beaches In Alaska, and there quite excellent too. Active stoners are all over the world, best believe we invade the surfer population as well. Schooner Beach is known for pristine waves perfect for pot heads ready to hang ten. If you’re not in the mood to get totally tubular, get blitzed and go on a high journey for shipwrecked treasure, as the location gets its name from a buried ship that was uncovered on the shore do to a storm. Mystery and intrigue surround the beach with beautiful views to give your imagination an endless platform. Luscious landscape riddled with strong mountains, regal sun rises and sits to take your breath away; take it all in and continue to inhale and exhale because we’re rolling up again. Sure we all like getting medicated and enjoying some fresh air at our local parks. Cass Benton is a unique place with plenty of outdoor options. The park itself has been a thing since the late 1920s and stands in Northville, MI. You thought you had the dankest trees around? Benton’s soil is insanely nutritious and houses some gigantic, ancestral Oak and Beech trees that shade picnic areas and turn playgrounds into an imitation rain forest. Cass Benton also offers a disc golf course bringing in many interesting players and fans. Big enough to accommodate 100 vaped up visitors, there’s always fun times to be had at this trippy spot. The recreational use as well as the cultivation of Cannabis Sativa was legalized in this South American country in 2014. Advanced in the medical marijuana industry have been taking place and making headway for decades and this Is living proof. Spanish speaking countries are often times a tourists first choice when it comes to vacation and honey moon spots. Uruguay is currently floating to the forefront of your must visit places. Get stoned to the high heavens literally with every step you take there legally and stress free at that! MJ sales not only boost your mood and endorphins, but the sales boost the economy adding value to the entire country, not just Mary Jane lovers. Uruguay is sure to put the spice in your life and the THC in your veins. It’s no secret that the Netherlands is crawling from pole to pole with luscious smelly greens, so when you finally touch down in the leaft country the first stop you might want to make Is Grey Area Coffee. With all the traveling and jet lag a nice cup of joe would be helpful, but a cup of joe with a joint, that’s why you came. First off this dispensary / head and coffee shop has been serving the sticky stuff for over 25 years housing some of the world’s best and most popular strains. 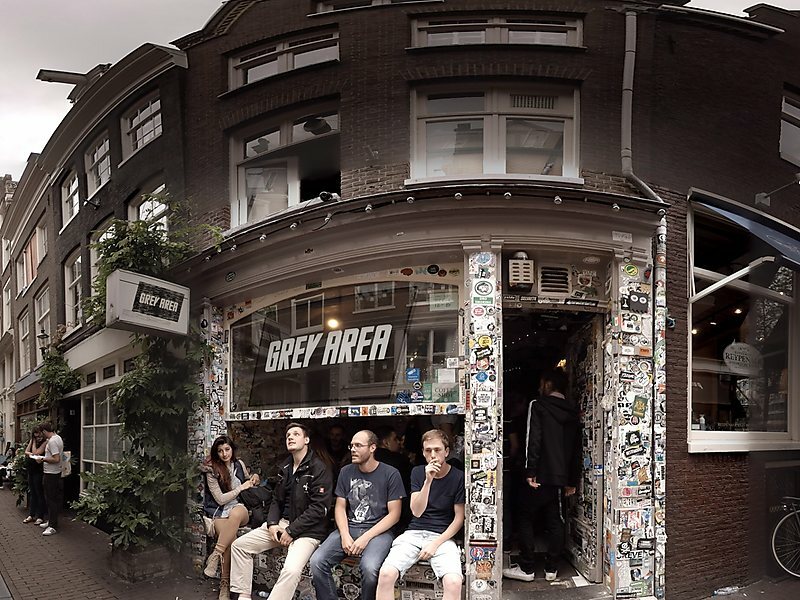 Grey Area has managed to create a comfortable and breathable smoking environment made to feel as if you’re in your own dank dojo. Major stoney vibes are thick and palpable in this joint and have been known to have some hash heavy hitters grace their presence. Snoop Dogg, Cypress Hill, Ty Dolla $ign, and Killer Mike have blazed at Grey Area just to name a few. Gaining attention from the Cannabis Cup in 2017, it’s prestige and allure is only becoming stronger, toke up and try it out! This entry was posted in Featured, Stoner Blog, Uncategorized. Bookmark the permalink.